The units of the Center run graduate schools in mathematics and computer science (the latter at MIMUW only); follow these links for information about the graduate program at IMPAN and at MIMUW. For the benefit of foreign participants the courses are taught in English. A brief description of the courses offered at MIMUW can be found here. The high faculty-student ratio ensures outstanding quality of tutoring. Some useful information about the student's life in Warsaw can be found at the pages of the University of Warsaw international relations office. Important note: the WCMCS Fellowship program will end in Summer 2017. WCMCS PhD fellowships provide financial support for outstanding PhD students. The stipends are awarded for twelve months (October 1st through September 30th) and can be extended up to a maximum of three years.  The WCMCS fellowship provides 3 500 Polish zloty (PLN) per month. The rules of the fellowship can be found here. The list of students who received the fellowships so far is to be found here. The results of preliminary evaluation of applications will be announced on May 10th. Subsequently, as a part of the evaluation process, the candidates who apply for fellowships will take a written exam on May 17th, 2016. Afterwards, those who are on the short list will be invited for an interview on June 6th or 7th. The candidates from abroad who can not come to Warsaw will be interviewed via a video-conferencing system. The detailed instructions regarding the exam and the interview will be sent to applicants via e-mail.